ProZ.com has launched the ProZ.com community book project, an initiative to help language professionals to spread useful information among potential clients and colleagues, while promoting themselves as experts in a given field or topic. The ProZ.com community book will feature articles written by site members on topics of interest to the translation community that may range from machine translation, cloud-based translation tools and new translation technologies, to rates, training and work-life balance, among other topics. Visibility: published authors become visible among peers and this creates an advantage for them, especially when time comes to attract the attention of clients. Credibility: book authors and collaborators get instant credibility and authority in connection with the field or topic in which they publish. This in turn translates into becoming not only a source of information, but also a resource for anyone in need of specialized information. Permanence: books are born to stay regardless of the format in which they get published and a book that goes around is also a book that keeps promoting its content and author(s) at no extra cost! Opportunities: many times names associated with books result in invitations to speak at events or offer training, and eve n to participate in further publications. Networking: the discussion of a book is a good way to break the ice! Published authors may be invited to participate in discussions with their readers via email, in social networks and at events. Clients: published authors know their field, a quality searched for by good clients. And because they are seen as experts, clients will rarely try to get discounts for their specialized services. All ProZ.com members are invited to submit an article to be reviewed for possible inclusion in the community book until February 29th, 2016, 23:59 GMT. 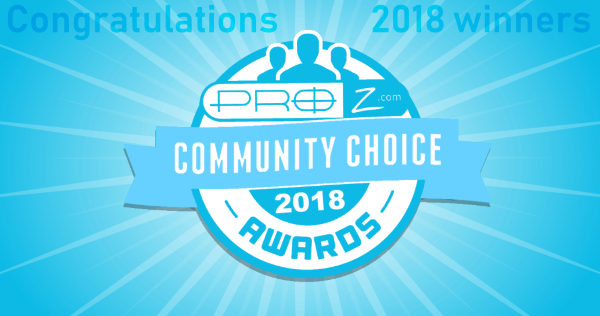 If you are not a ProZ.com member, become one today and start enjoying all the benefits the site has to offer, including the community book. Are you a published author? Share a link to your material below. The ProZ.com 2015 international conference is just ten days away. Translators, interpreters, students, sponsors, organizers and staff are getting ready to support each other, to learn from each other in the great city of Rotterdam, the Netherlands. For more information and details about each session, click here to view the entire conference program. Tour behind the scenes at Schiphol airport and a subsequent dinner at Vork en Mes, Hoofddorp. A boat trip to Kinderdijk, a walking tour to Rotterdam and a ‘Rice Table’ meal. Dinner at the Inntel Hotels Rotterdam Centre. Dinner on the SS Rotterdam, an ocean liner. For more details on social events planned, click here. 25% discount in accommodation at Inntel Hotels Rotterdam Centre. Free access to an on-line, self-paced course on “Business skills for translators”. 50% discount on ProZ.com training. 6-month Professional Account Trial at TM-Town. 3-months free subscription to WordFinder. 20% discount for students, members of the Certified PRO Network, members of the NGTV and members of the AITI. CE credit points for AITI members. There are still a few seats left for the conference. To book yours, visit the conference page and click on Buy now next to the package that best suits your needs. For special discounts, please contact site staff through the support center. This is the tenth –and last– post in a series of weekly blog posts with tips to get the most out of translation industry events (click here to see a full list of previous posts). As explained in the first part, tips are grouped into “before the event”, “during the event” and “after the event” for easy reference. Please feel free to post below and share your tip(s)! As mentioned in the first part of this series, translation industry events are probably one of the most important parts in the marketing strategy of many language professionals. By attending conferences, workshops, seminars and other industry events, translators and interpreters not only get the chance to learn about new industry trends, but also to network with colleagues while promoting themselves. The same principle applies to organizing translation industry events, where organizers can not only learn and network with colleagues, but also do something different that enhances their translation business and professional profile. Interaction with people from all around the globe. Networking not only within the local community, but also within the international translation community. Acquisition of new interpersonal and organizational skills. Relationship with companies, associations and other major players in the industry. Experience with industry events (as attendee, co-organizer or organizer). Active participation in the translation community. Reactive, responsive and collaborative attitude. Business understanding (keeping in mind that the organization of an event is a business investment for all involved, including for event attendees). If you believe that you have all of the above and you would like to learn new skills, network with colleagues and market yourself, you may consider organizing an event for translators in your country. There are several ways to do it either individually or with the support of colleagues, private companies or associations. Rather than seeking to organize events on its own in locations around the world, or on a variety of topics, ProZ.com normally seeks to provide others with the tools, support and promotion that they need to organize events. Applied in varying degrees for various events and event formats, this “enabling” approach make it possible to offer low-cost events that have a local focus, or that delve deeply into a given topic. It also makes it possible for ProZ.com events to be held in many languages. ProZ.com conferences, powwows, workshops and virtual events. Powwows – informal meetings, usually carried out in-person, often over a meal. Virtual events – events with planned agendas, carried out primarily online using video, chat, etc. (sometimes with a corresponding real-world component). In-person events – events with planned agendas, carried out primarily in-person (and ideally streamed and recorded). Events have been held with various other formats, and more formats (for example, hybrid formats that combine virtual and in-person elements) can be imagined and explored. If you would like to give it a try at organizing an event with the support of ProZ.com, go ahead! In the end, the translation industry is like other industries, in that it is important for professionals to have opportunities to learn, network and socialize among peers. Then why not get the most out of an industry event by organizing it yourself? Have you ever organized an industry event or considered organizing one?